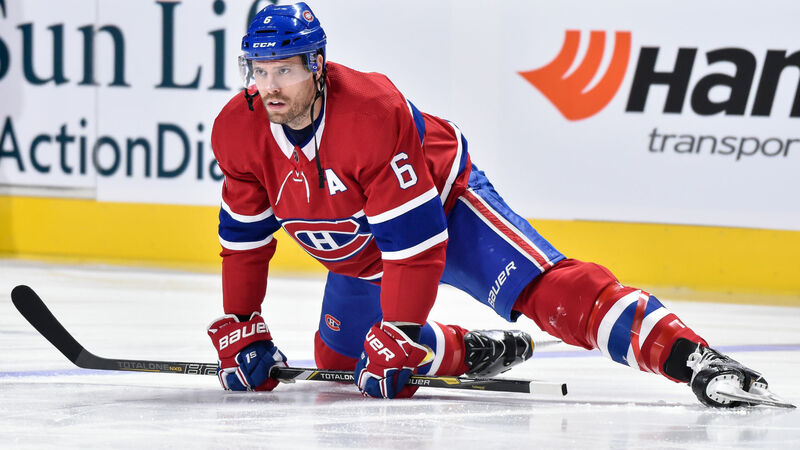 Shea Weber will make his season debut on Tuesday when Montreal Canadiens face the Carolina Hurricanes. Il est de retour. ?? The 33-year-old defenseman missed the team’s first 24 games this season and has not played since Dec. 2017 due to foot and knee injuries, but he told reporters on Monday that he’s ready to go. “[I] should be well rested,” Weber joked. While Canadiens head coach Claude Julien isn’t expecting Weber to make an impact right away, he’s excited to have him back on the ice. The Canadiens are off to a surprising start through roughly the first quarter of the season as they have 27 points (11-8-5) and hold one of the two wild-card spots as of Monday. Weber said he’s pleased with his team’s performance. While Weber was a captain with his previous team, the Nashville Predators, Tuesday night will mark his first game with a “C” on his jersey with the Canadiens. Weber was named the team’s captain in October following the Max Pacioretty trade. The three-time Norris Trophy finalist’s talent is much needed by Montreal as it ranks 26th in goals against per game (3.38). Weber, who was acquired from Nashville for P.K. Subban in 2016, has 23 goals and 58 points to go along with a plus-12 in his first two seasons in Montreal. In order to make room for Weber, the Canadiens waived defenseman Karl Alzner on Monday. Alzner has one point in eight games this season.